Raul Castro is the current President of Cuba and brother of the Cuban revolutionary leader Fidel Castro. 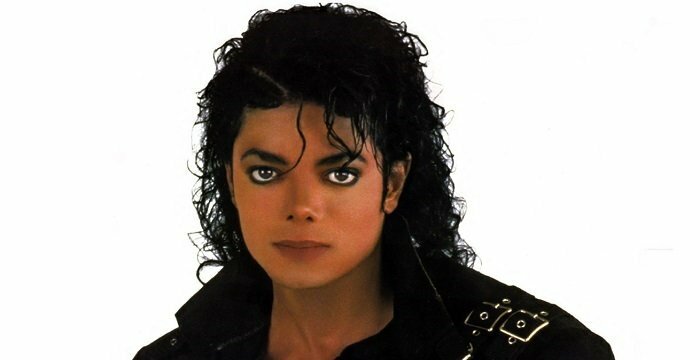 Check out this biography to know about his childhood, family life, achievements and other facts related to his life. Raul Castro is the current President of Cuba and brother of the Cuban revolutionary leader Fidel Castro. 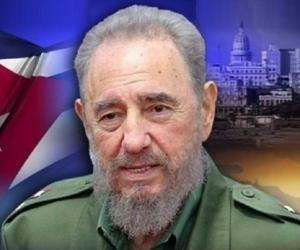 Most of his life was spent under the shadow of his elder brother and he was always seen as the right hand of Fidel Castro. Raul played a very important role in the Cuban Revolution as well as in formation of the government of Cuba, after the revolution was over. He helped his brother plan and execute the socialist revolution, which overthrew the dictator Batista, in the 1950s. He is most famous for his role in Cuban military. He has been counted amongst Cuba’s top-ranking military officers since soon after the Revolution.. Later, as Fidel became the president of the country, it was Raul, who made sure that the administration was purged of men loyal to erstwhile president. From then, until Fidel became incapacitated due to illness, Raul occupied the number two position in the Council of State, the Council of Ministers, and the Communist Party of Cuba along with holding the post of Defense Minister of the country. 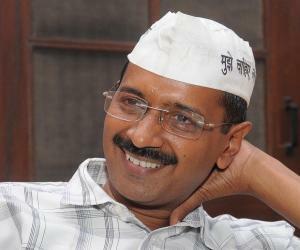 He is a very pragmatic leader and a witty person. Soon after assuming power he undertook numerous reform measures and started working towards establishing relationship with other countries, especially the USA. It was due to his efforts that the USA reestablished its embassy in Havana after half a century of distrust. 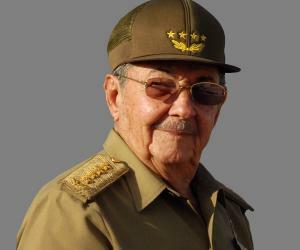 Raul Modesto Castro Ruz was born on 3 June 1931 in Birán, Cuba. His father, Angel Maria Bautista Castro y Argiz, came to Cuba in 1905 from Galicia, Spain, almost empty handed. Having a strong sense of business, he soon set up a big plantation at Birán. He also owned other businesses. Raul’s mother, Lina Rauz González, was Angel Castro’s second wife. She was brave, spontaneous and hard working. Initially appointed a cook in the household, she soon became Angel’s mistress and then his wife. Their first three children were born out of wedlock. Raul was born fourth of his parents’ seven children and the youngest of their three sons. His elder brothers were Ramón Eusebio Castro Ruz and Fidel Alejandro Castro Ruz. In addition, he had four sisters, Angela, Juanita, Emma, and Agustina. From his father’s first marriage to Maria Argota, Raul had five half-siblings; Pedro Emilio, Maria Lidia, Manuel, Antonia and Georgina. In addition, he had another half-sibling, Martin Castro, born out of Angel’s liaison with a farmhand, Generosa Mendoza. Raul, just as his brother Fidel, was a rebel from the very beginning. He had his early education at the Jesuit School of Colegio Dolores in Santiago and was later transferred to the more prestigious Belen Jesuit Preparatory School in Havana. 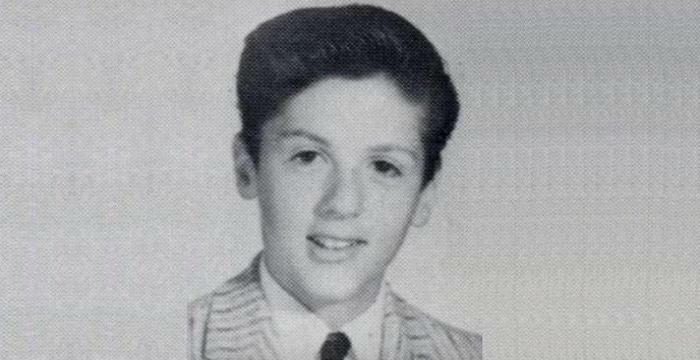 Before he could graduate from the school, he was expelled for bad behavior. Thereafter, he returned home to work in his father’s ranch, where he must have studied privately. Later, he joined the University of Havana, where his elder brother Fidel Castro had been studying law and was already embroiled in student activism. Here, Raul took up social sciences. He was a mediocre student and it is not known if he actually graduated. At the university, Raul joined the Socialist Youth, an affiliate of the Partido Socialista Popular (PSP, the Cuban Communist Party) and became a committed socialist. At the same time, following his brother Fidel Castro, who had by then garnered certain following, he also began taking part in violent student activism. In 1952, Fidel Castro was nominated by Partido Ortodoxo to run for the election of the House of Representative from one of Havana’s poorest districts. However, it was cancelled when in March Heneral Fulgencio Batista seized power, declaring himself President. Fidel Castro first tried the legal way, bringing several cases against the government. When it failed to achieve its result, he planned an uprising, which resulted in the attack at the Moncada Barracks, an army facility in the city of Santiago de Cuba, on 26 July 1953. In this expedition, Raul, barely twenty-two years old, was with his brother from the very beginning. He was assigned to the team that was sent to occupy the Palace of Justice. However, the expedition was a failure from the beginning and both the Castro brothers were arrested. In a trial that began on 21 September 1953, Fidel and Raul Castro were sentenced to prison for fifteen years. However, they were granted amnesty after twenty-two months by President Batista due to civic pressure. In 1955, on being released from prison, the Castro brothers fled to Mexico, where they began to reorganize the movement with eighty other exiled leaders. This time, they wanted to make sure that the guerrilla force they raised was more effective. Eventually they acquired an 18 meter (60 feet) long cabin cruiser, christened Granma, bought secretly. Shortly after the midnight of 25 November 1956, the 82 rebels, including Fidel and Raul Castro, Che Guevara and Camilo Cienfuegos, boarded the yacht from the Mexican port of Tuxpan, Veracru. Setting sail on 26 November at 2 am, they landed at the Playa Las Coloradas, municipality of Niquero, on 2 December 1956. Unfortunately, it was day-time and they were detected by Cuban Air Force. A battle that followed took a heavy toll on the revolutionaries. Out of the 82 men that started on the voyage, only twelve survived and Fidel and Raul Castro, Che Guevara and Camilo Cienfuegos were four among them. Subsequently, they set up their camp in the Sierra Maestra mountains and soon were joined by hundreds of volunteers. Raul Castro, although barely twenty-five, had by then proved his leadership capabilities as well as his trustworthiness. Therefore, he was now given bigger and bigger roles to play and was made a comandante on 27 February 1958. Subsequently, he was assigned to lead a column of guerrillas across the old province of Oriente into the northeast of that territory, the Frank País Eastern Front. Simultaneously, Fidel Castro led the Operation Verano, which at one point, was almost defeated by Batista’s force. On June 26 and 27, Raul’s troop kidnapped thirty-four US and two Canadian citizens. Although it caused significant backlash, it achieved its objectives. President Batista declared a ceasefire, which gave Fidel’s troops the opportunity to regroup and fly in arms. By October 1958, the two brothers had around 2000 men under their command and were operating freely throughout Oriente province. After a series of victories, they finally captured Santiago de Cuba on 1 January and Havana on 8 January 1959. As Fidel Castro assumed power, Raul was appointed as the head of the armed forces. Assigned to the task of rooting out the supporters of erstwhile president Batista, he now set up an intelligence operation and arrested hundreds of men, mostly policemen and army personnel, loyal to Batista. Subsequently Raul, along with Che Guevara, set up a judicial procedure, which in most cases did not follow the due process. While majority of the arrested were executed by firing squad, many were allowed to go free without prosecution while some were sent to exile as military attachés. In 1959, Raul Castro began his political career as the second-in-command to his brother, President Fidel Castro. He occupied the number two position in the three most important institutions of Cuban hierarchy; e.g. Council of State, the Council of Ministers, and the Communist Party of Cuba. When in October, the Ministry of Revolutionary Armed Forces was formed, he was appointed the Defense Minister, a position he held until 2008. All along, he enjoyed the loyalty of the top military officers. Concurrently, he also remained deeply committed to the primacy of the Communist Party of Cuba and helped it develop into the prime political institution of the country. Thus he played a significant part in shaping his country’s political history. He also forged strong links with the Soviet Union, which in April 1961, led to the CIA sponsored Bay of Pigs invasion. His troops were successful in thwarting the attack. Sometime in early 1962, Raul was appointed a Deputy Prime Minister and later in the month of July, he visited Soviet Union to negotiate missiles for his country. When this led to the Cuban Missile Crisis, he handled it successfully. Soon, he became one of the most influential ministers of the governments. 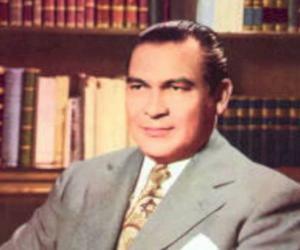 In 1972, Raul was named the First Deputy Prime Minister of Cuba. Although an avowed communist, he soon began to take interest in economical reforms. For example, in the middle of the 1980s, he allowed the Cuban armed forces to carry on reforms in a number of enterprises controlled by them. The experiment came handy when the Soviet Union collapsed in 1991 and with that the subsidies they received also dried out. Although initially Cuba faced economic crisis, it was able to overcome it due to Raul’s judicious reform movements. In October 1997, Raul Castro was officially designated by the Communist Party of Cuba as Fidel Castro's successor. Therefore, when in 2006, Fidel Castro became ill, Raul Castro automatically stepped into his shoes. On 31 July 2006, Raul became the provisional First Secretary of the Communist Party of Cuba, President of the Council of State of Cuba, President of the Council of Ministers of Cuba, and Commander-in-Chief of the Armed Forces. As the leader of Cuba, Raul Castro promised to abide by the principles of the Communist Party of Cuba and at the same time was open to discussion with the international community. In September 2006, his government hosted a meeting of more than 50 heads of state of the Non-Aligned Movement at Havana. 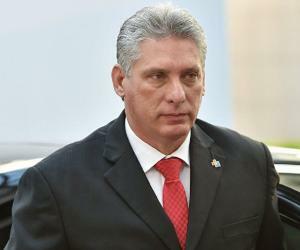 Then in 2007, he became acting head of Council of State, the Council of Ministers, and the Communist Party of Cuba. He also undertook various reforms. Revoking wage restrictions in place since 1960 was one of them. On 19 February 2008, Fidel Castro resigned from his position of President of the Council of State of Cuba and Commander-in-Chief of the Armed Forces. On 24 February, Raul Castro was chosen as the country’s new president by National Assembly. On 2 March 2009, Raul Castro reorganized his Cabinet, replacing some of the long-time aides of Fidel Castro. In the following April, he met visiting members of the US Congressional Black Caucus, thus opening diplomatic channel with the United States. Two years later on 19 April 2011, Raul Castro was elected by the Communist Party to succeed Fidel Castro in the country's highest office. In the same year, he instituted a two term limit, each comprising of five years, for the office of the President. In 2012, he met Pope Benedict XVI, who visited Cuba for the first time, thus opening another channel with the outside world. It is believed that the Vatican later played an important part in normalizing Cuba’s relation with the USA. On 24 February 2013, Raul was reelected by the National Assembly. On the same day, he announced that he would step down in 2017, at the end of his second five-year term, thus creating another precedent. 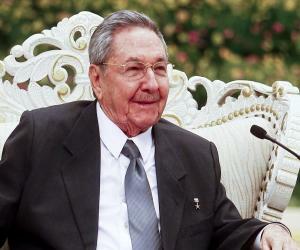 Raul Castro continued to reach out to the international community. Finally on 17 December 2014, it was announced that Cuba and the United States would renew diplomatic relations. Four months later on 12 April 2015, Castro met US President Barack Obama during the summit of Americas in Panama. In July, the Cuban embassy reopened in Washington, D.C while in August the American embassy reopened in Havana. In spite of all these, Raul Castro remains a revolutionary at heart. On 25 November 2016, when Fidel Castro died at the age of ninety, Raul Castro announced the news on state television, ending the speech with a revolutionary slogan: "Towards victory, always!" Although a dedicated communist, Raul Castro is credited with implementing numerous social, economic and political reforms, countering many of the established policies. Lifting restrictions on commerce and travel for its citizens, opening the country to foreign investment and allowing privatization in military or government infrastructure are only a few of them. On 26 January 1959, Raul Castro married Vilma Espin, a chemical engineer from Universidad de Oriente, Santiago de Cuba, and a post-graduate from MIT in Cambridge, Massachusetts. The couple had four children: Deborah, Mariela, Nilsa, and Alejandro Castro Espín. Vilma played a significant part in the revolution, not only acting as a messenger while the Castros were exiled in Mexico, but also offering significant assistance while they were regrouping in the Sierra Maestra mountains. As Fidel Castro did not have a wife when he became the president, Vilma acted as the First Lady even before Raul Castro became the president and thus she played a significant role in the governance of the country all her life. She died on 18 June 2007 following a long illness.